At Power4Flight, we understand that every UAV platform is individual and has unique propulsion needs. Our team has experience with all aspects of unmanned systems including engines, airframes, autopilots, payloads, power electronics and flight operations. Furthermore, we work very closely with our partners at Currawong Engineering and Cobra Aero who provide core engine parts and EFI components. Creating a custom engine configuration is something we are very familiar with. We can make adjustments for your needs by customizing the throttle body design, exhaust system, adding a starter/generator, or making changes all the way down to the core engine details. 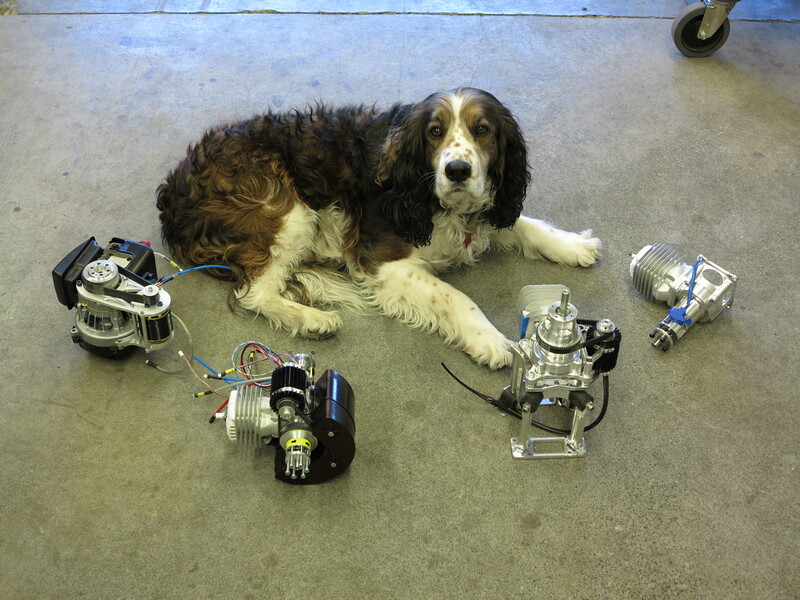 The chief of security guards some of P4F’s different engine configurations.